If you’re after the stunning beauty and strength of a solid quartz surface without any of the drawbacks of traditional solid stone surfaces then Max-Top Quartz is the one for you. Max-Top offers pre-finished worktops with undeniable strength and surprising lightness which means that installers and consumers get maximum benefit with minimum fuss. There is no need for fabricating making Max-Top Quartz a much quicker and cheaper option and it can be installed using your standard tools in either new builds or renovations and is the same thickness as standard 40mm laminate so replacement is simple. Max-Top Quartz offers the aesthetic benefits of a solid stone surface, but with the advantage of a deeper 40mm profile – a depth that is impractical with conventional solid quartz fabrication which is only 28mm. 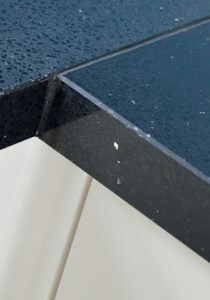 Every surface is edged with 8mm solid quartz to give a perfectly uninterrupted look. Design options are further enhanced by a choice of 10 natural decors, so there’s a surface for any kitchen. The patented interior structure of Max-Top Quartz is not only the secret to its lightweight properties, but it’s also the secret of its superior strength. Its non-wood based honeycomb core offers 100% moisture protection to a surface that’s light enough to be handled manually, but offers higher strength than other stone worktops. 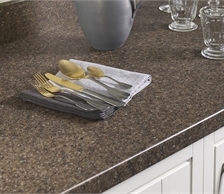 Factory pre-finishing means that Max-Top Quartz surfaces are ready for immediate sale and installation with the kitchen, in contrast to many solid solutions that require a 3-4 week wait from the time of order. Installation is a breeze as worktops can be fitted using normal techniques similar to those used in laminate installation. Three standard worktop sizes are available and every pack comes with 40mm upstands and edging as standard, so there’s no need to purchase extra items. Max-Top upstands are made from acrylic to avoid damage during handling from stock to site to installation. It is also more flexible which may help on uneven walls. The acrylic has a design which is consistent in colour and density providing a co-ordinated accessory. Call us today on 01323 301606 for a quote or pop into the showroom to see the range of colours available. 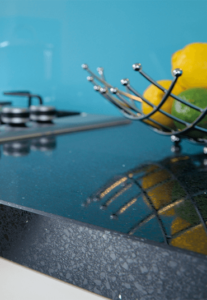 Laminate worktops are a great cost effective kitchen work surface, and can mimic almost any other surface type, including slate, granite, quartz and wood. All our laminate products are of the highest quality and manufactured with the environment in mind. They are extremely versatile, easy to clean and resistant to most household chemicals. 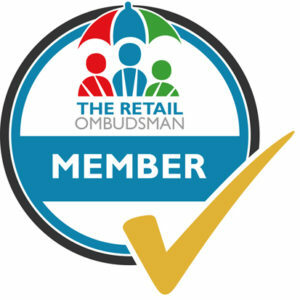 We are proud members of Checkatrade so visit their website to read over 170 reviews from our satisfied customers.